Druid St and Crucifix Lane? The imagination runs wild. Kate Mosse has written a book titled Crucifix Lane that is set here, but in the future. What happened here in the past? 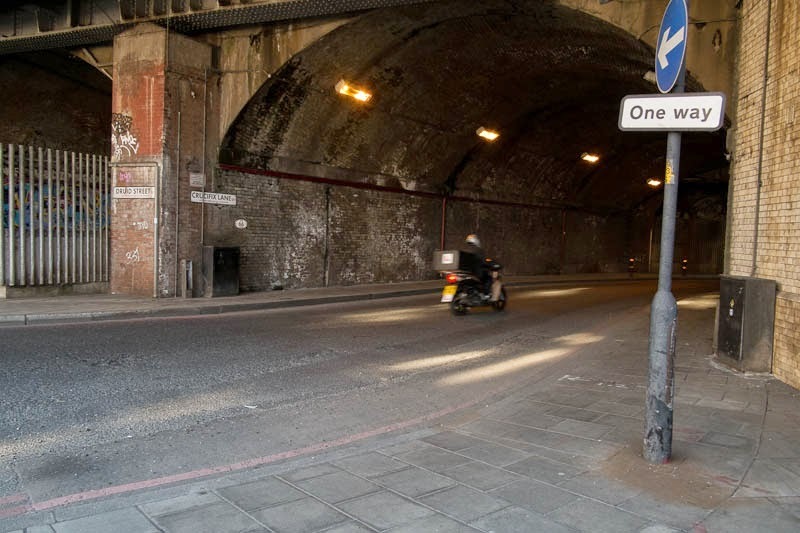 British History on-line only mentions the lane briefly as you walk through the area - "under the railway arches, by way of Crucifix Lane, a name which savours of "the olden time," "
Very interesting. I must have been there often but never found out the reason for the name. There is a local history library mind there. This looked so familiar that I had to look it up to see where it was located. I'm pretty sure that I walked through that tunnel years ago when my friends and I were trying to find the restaurant called "Champor-Champor". It was a restaurant that turned out to be simply fantastic. I wouldn't fancy walking or driving down that road!